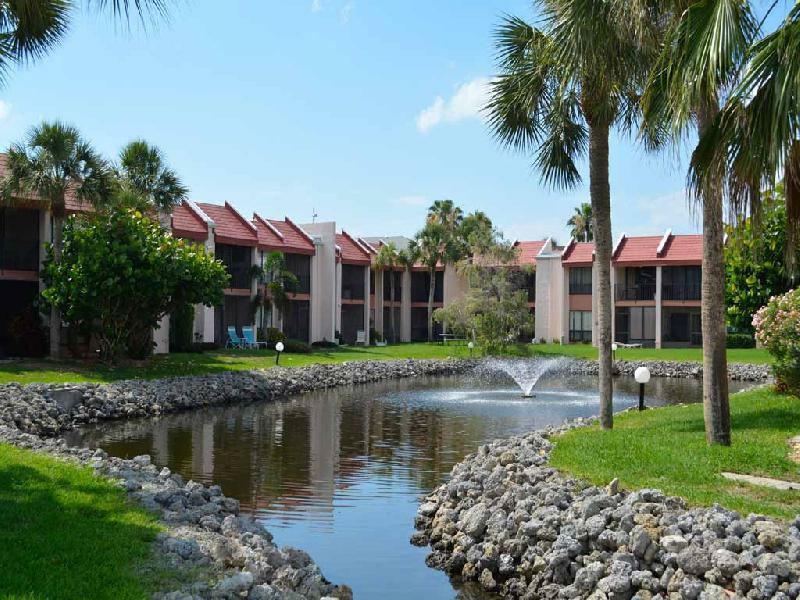 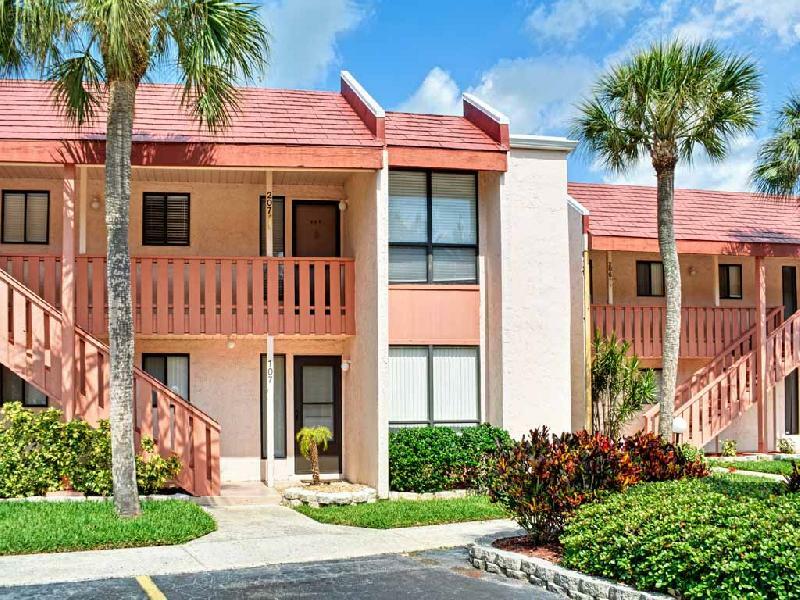 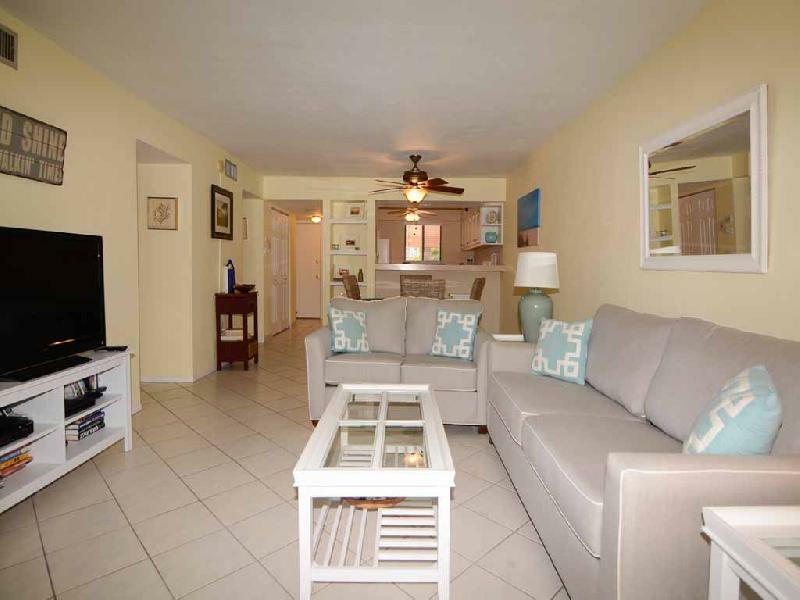 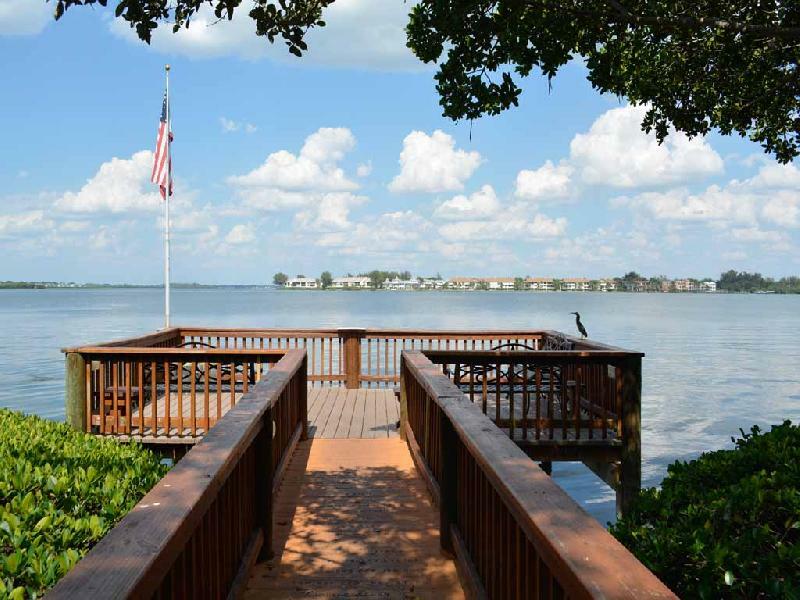 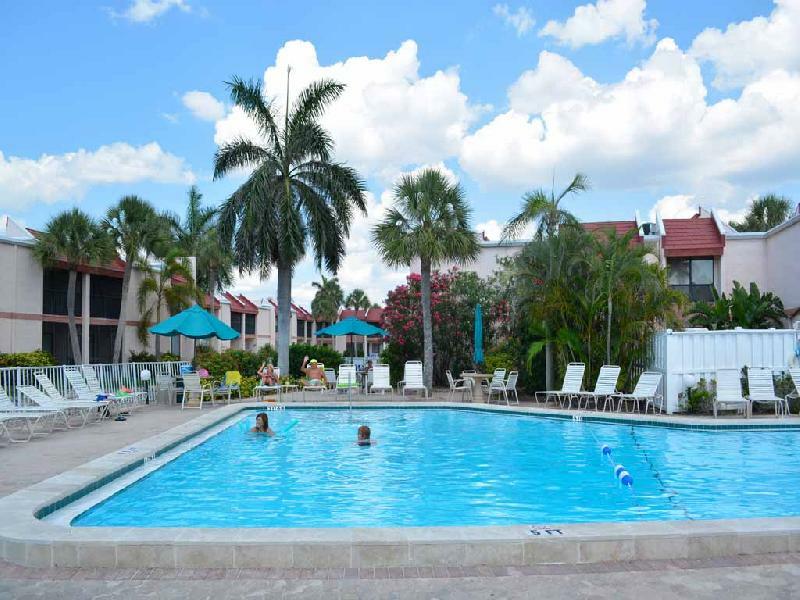 Runaway Bay condominium #207, located at 1801 Gulf Drive in northern Bradenton Beach, is a comfortable two bedroom, two bath second floor condo located in a very popular complex. 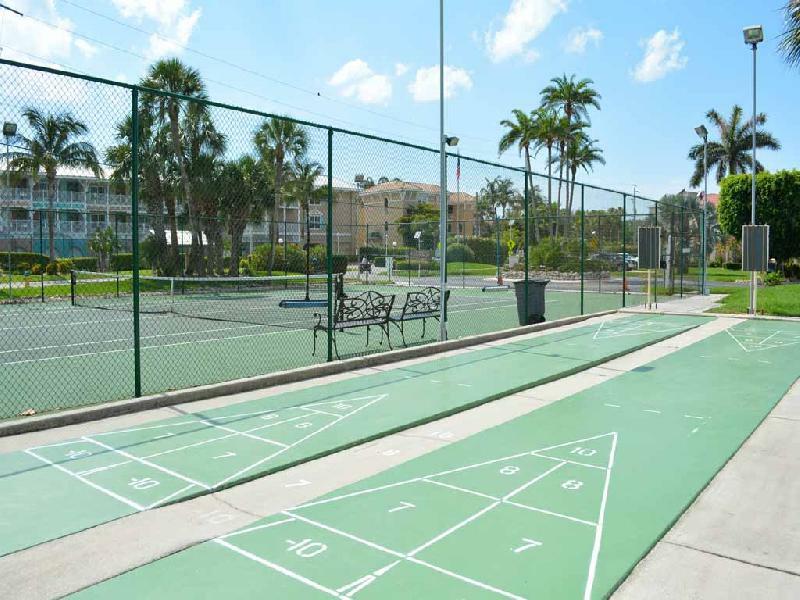 Runaway Bay is a bay front complex that features a very large heated pool, tennis court, spa, fitness center, sauna and shuffleboard court. 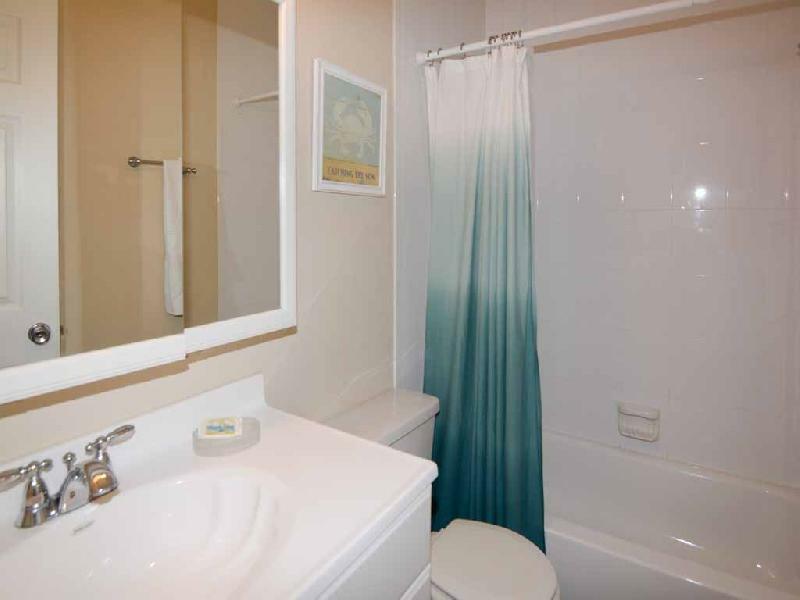 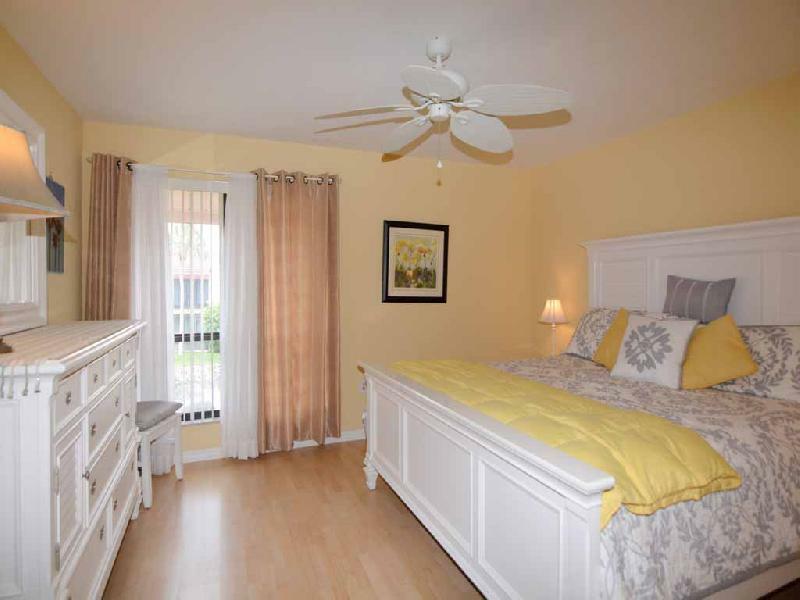 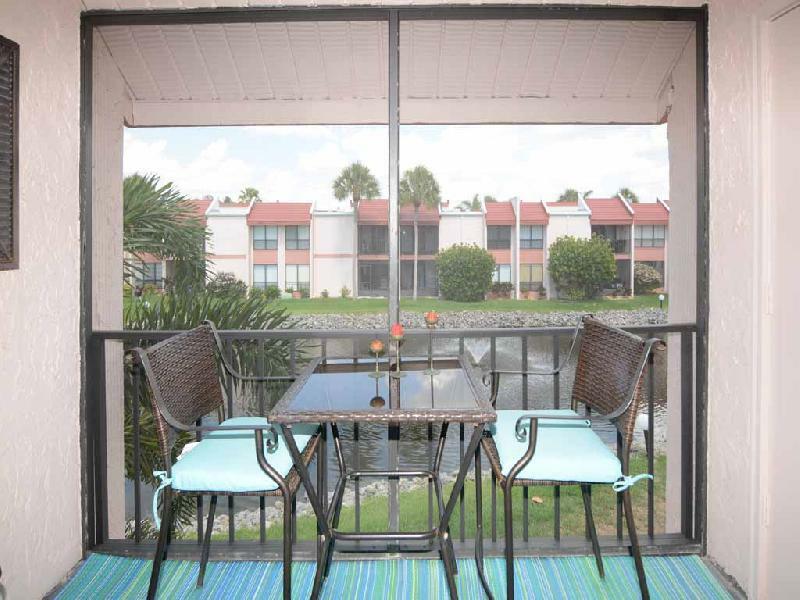 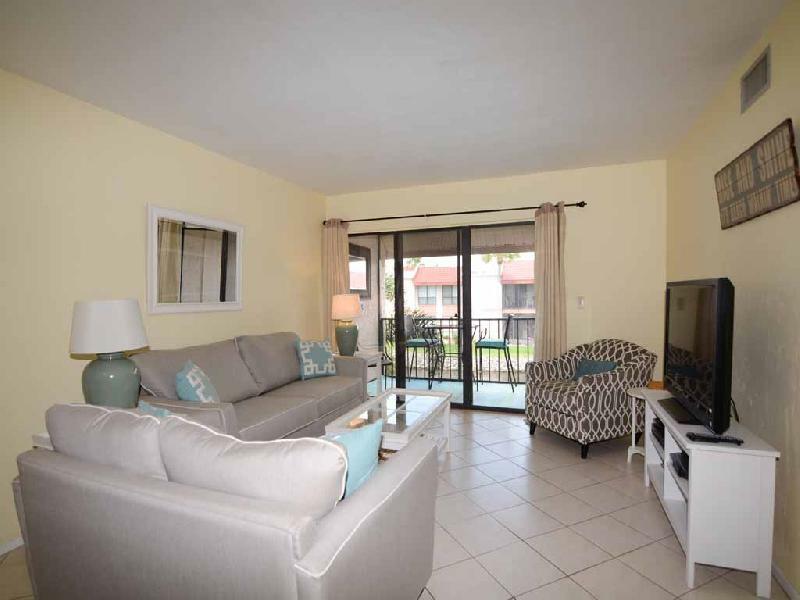 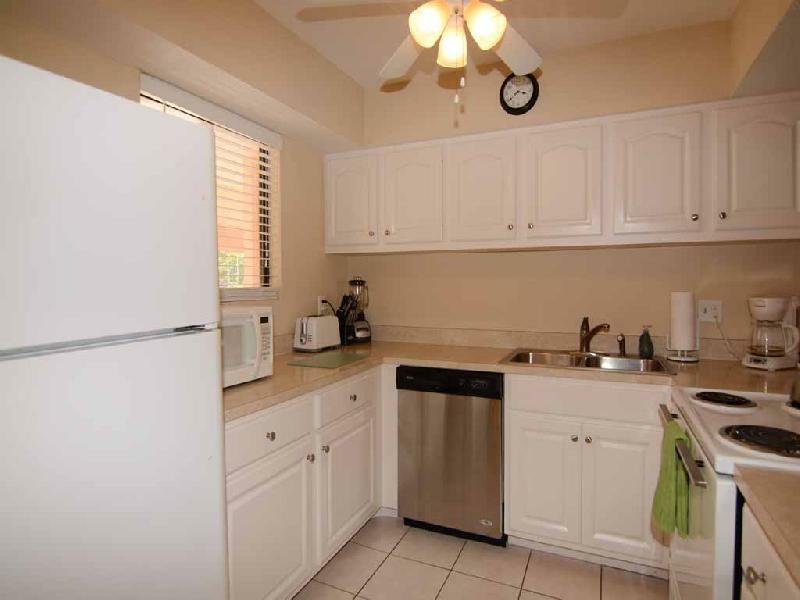 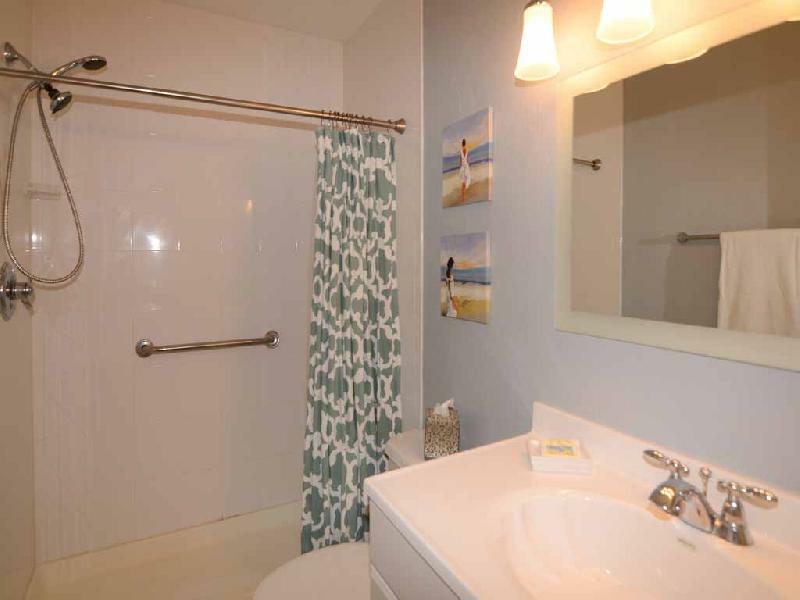 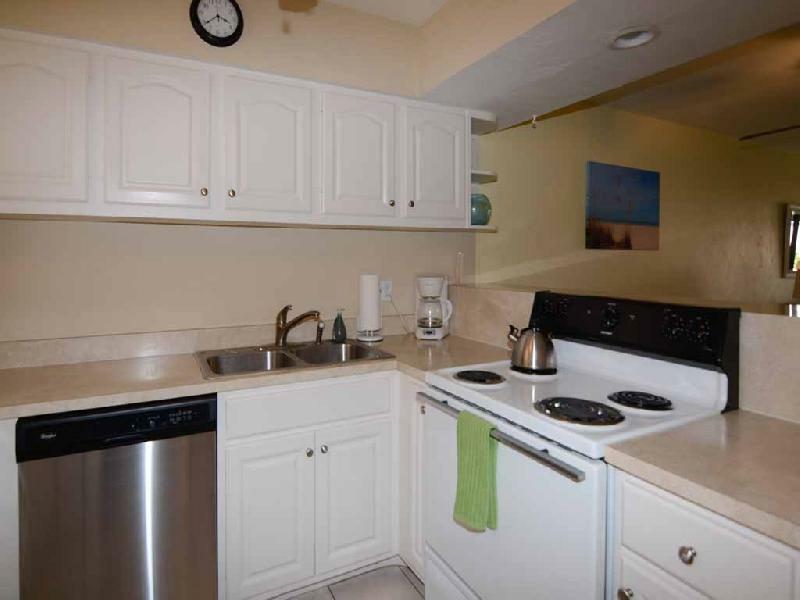 This particular unit has beach access directly across the street and is conveniently located near trolley stops. 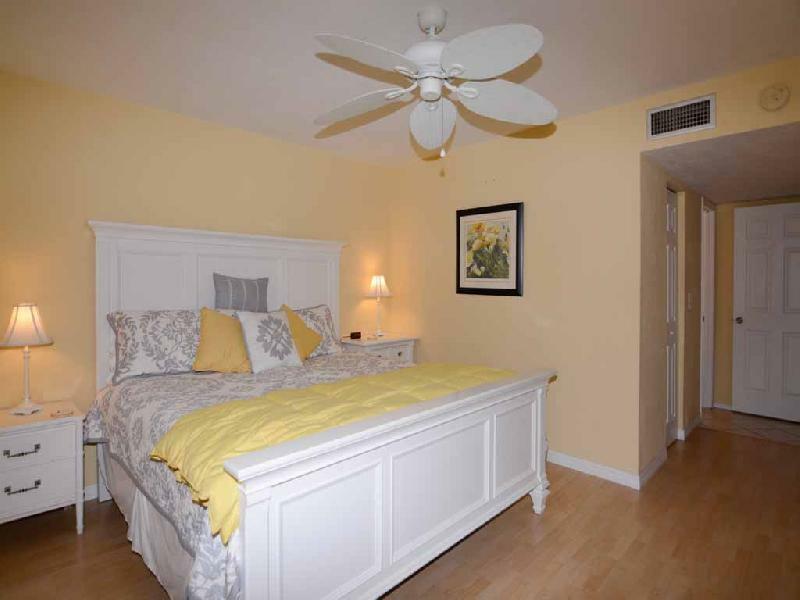 This unit sleeps six with a king size bed in the main bedroom, two twins in the guest bedroom and a sofa bed in the living room. 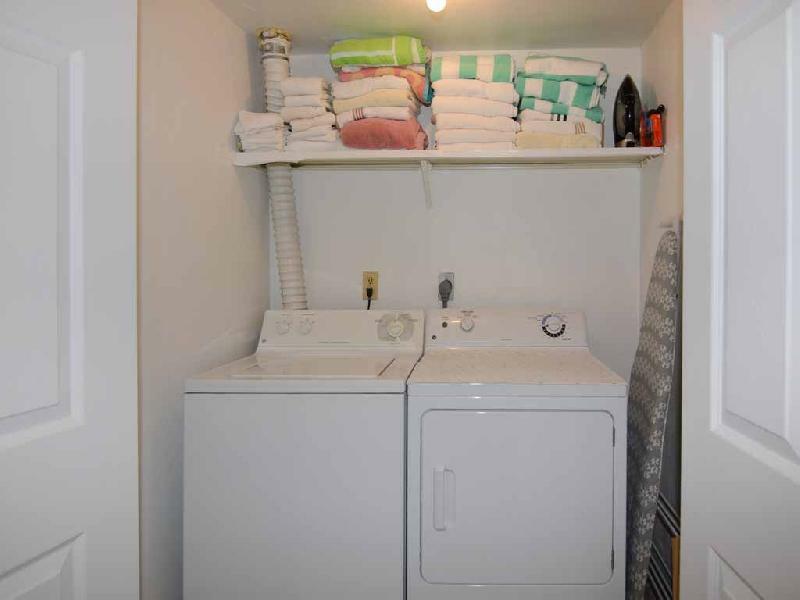 A full size washer and dryer are in the unit for your convenience. 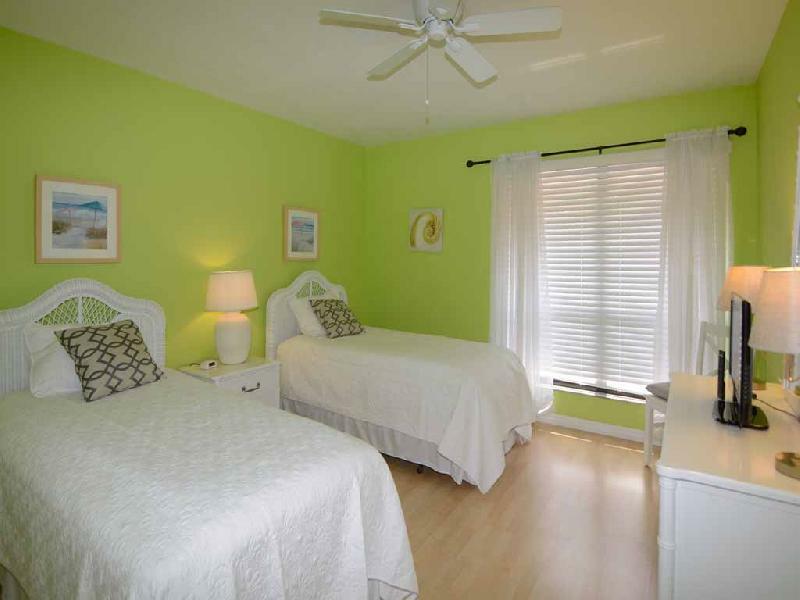 There is a 38" TV in the living with a DVD player and VCR, a 32" tv in the master bedroom and a 20" TV the guest bedroom. 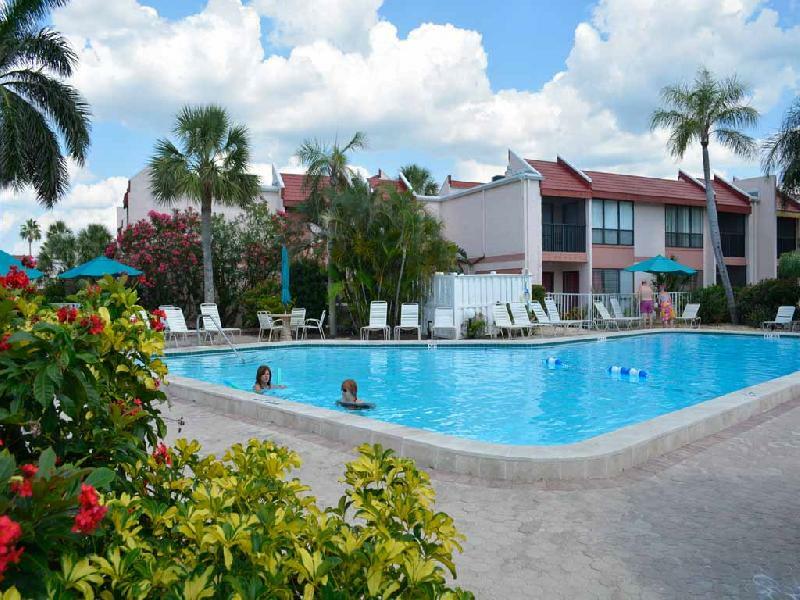 The newest addition is wireless internet with expanded cable and free domestic long distance calling. 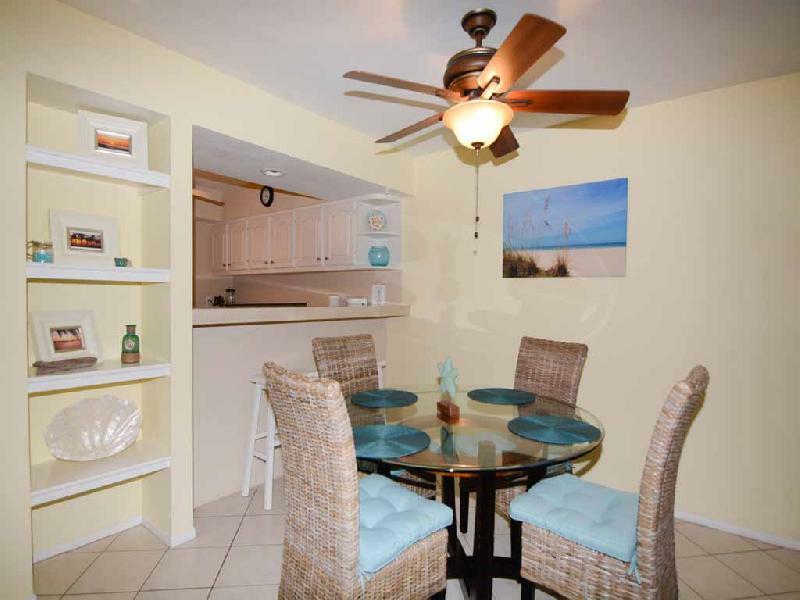 This property also provides four beach chairs and a cooler to take to the beach.